This attack grade hose in designed specifically for the toughest fire fighting jobs. The jackets are woven from the finest high tensile 100% polyester yarn. The tight weave in both jackets means no drying is required before use and that it is completely immune to the effects of mildew. 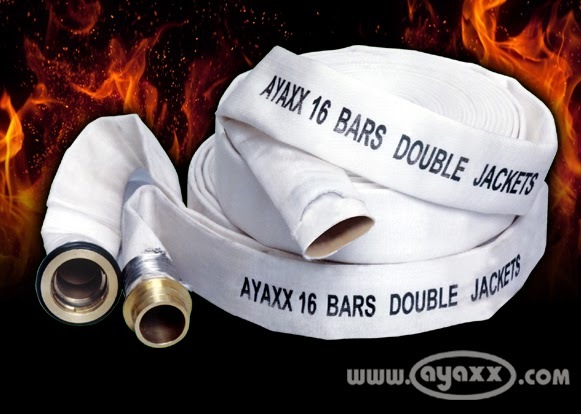 A longlasting natural rubber lining combined with the rugged double jacket construction, plus the Ayaxx low price, makes this hose the first choice of many fire departments and industrial rewuiring long-lasting, tough fire hose. Availabel in white only. Complete detailed specifications are available upon request.